West Ham United caused a huge shock by ending Manchester City's 100 per cent winning start to the season with a 2-1 victory at the Etihad on Saturday night. Slaven Bilic's side raced into a 2-0 lead thanks to strikes by Victor Moses and Diafra Sakho - the first goals City had conceded in the league this campaign - only for City midfielder Kevin De Bruyne to pull a goal back for the home side just before half-time, his first for his new club. However, West Ham held on for all three points thanks to a resolute second-half display, a result that moves the Hammers up to second in the table, while City remain top despite this setback. The home side suffered a huge blow just prior to kick-off when influential playmaker David Silva picked up an injury in the warm-up, with the Spain international joining captain Vincent Kompany on the sidelines. However, City were at least able to call upon striker Sergio Aguero once again after injury, while the visitors were also boosted by the return from suspension of goalkeeper Adrian. And it was not long before the Spaniard was called into action as the goalkeeper was forced to keep out Fernandinho's powerful header after an early right-wing De Bruyne corner. 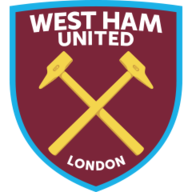 However, if that close call was meant to result in an avalanche of chances for the Premier League leaders, they and their supporters were much mistaken,as it was West Ham who opened the scoring after just six minutes. In-form midfielder Dimitri Payet was once again involved in the strike, with the Frenchman finding on-loan Chelsea winger Moses in a central position some 25 yards out, before the Nigerian then beat Joe Hart at his near post with a low shot, the first league goal City had let in this season. Manuel Pellegrini's side responded to that setback by very nearly drawing level just minutes later, however, having taken advantage of a poor back header by Aaron Cresswell and then beaten the onrushing Adrian, Aguero somehow managed to guide his shot wide of the gaping goal. And Aguero and City were made to pay for that miss when West Ham doubled their lead just past the half-hour mark, meaning the home team had conceded as many goals in this game as they had in their previous nine contests at the Etihad. West Ham right-back Carl Jenkinson did well to break up field and win his team a corner, from which Winston Reid rose powerfully to flick on Payet's delivery, and after a scramble in the six-yard box, Sakho found himself in the right place at the right time to toe-poke home West Ham's second of the night. 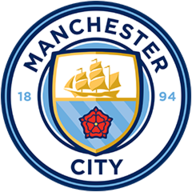 City had to respond in what little time they had before the interval, and that is exactly what they did in first-half stoppage time thanks to a well-taken goal by their £54m signing De Bruyne on his first Premier League start for the club. The Belgium international picked up possession of the ball deep in West Ham's half after a neat Aguero layoff and after making space for himself, the midfielder beat Adrian with a well-struck shot from distance to bring the home side right back into the contest. However, if that well-timed strike was meant to lead to a dramatic City comeback, Pellegrini's team were just unable to find a way past a brilliant Adrian in the second period as West Ham's 'keeper made a string of brilliant saves to deny the league leaders. City midfielder Yaya Toure was a little unlucky as two of his drives flashed just wide of Adrian's far post in the opening 15 minutes of the second period, while the Ivorian was also denied by a brilliant close-range block by that man Adrian. Niall Quinn and Thierry Henry singled out the impact new signing Dimitri Payet has had on West Ham's attacking play under new manager Slaven Bilic. The visitors, meanwhile, could have made the final half an hour a lot more comfortable had Sakho not missed a great opening when played through one on one with Hart just before the hour-mark. However, with Adrian virtually unbeatable on his return to the team - the shot stopper also made crucial blocks to keep out both Aguero and Jesus Navas in the final quarter of the game, before a brilliant reaction save late on denied Nicolas Otamendi - West Ham were able to record famous away wins at Arsenal, Liverpool and City. Meanwhile, City's status as the only team in all four divisions with a 100 per cent start to the campaign was over as their club-record 11-match winning run in the Premier League was brought to a shuddering halt.